“A Breath of Fresh Air. Makes My Heart Feel Good.” Set aside old thinking and expectations to really listen to Rahel's music. Once you start you can't stop listening to it and thinking about it. The music is hypnotic and sonically refreshing. There are hints of jazz, Middle East blends, further East mantras with sometimes driving rhythms and sometimes gentle sounds. •	There is a special quality to Rahel's voice that keeps me listening." (Bernadine - New England Songwriters Guild) •	"I love the 'folky' traditional sound while still managing to give it that little bit of rock edge!" (Rach) •	"I have not encountered anything like it before. Very inspiring." (Daryll – Singer Songwriter) •	"The music beckons, invites you to sit down, listen a while, let your thoughts float." (Phyllis Thomas - Telegraph) A gifted, soulful songwriter, Rahel has a lot to say, and she says it well with a beautiful, diverse, collection of songs that are well-crafted, intelligent and musically sophisticated. 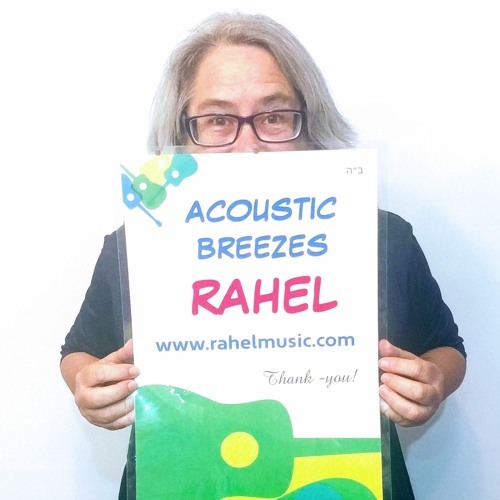 Listen to beautiful sophisticated music and great tunes at: http://www.rahelmusic.com/listen_1/ ABOUT: Rahel is a compassionate, insightful, sensitive, versatile award-winning performing guitarist, vocalist, recording artist, songwriter and healing artist. In her own words, "Music, for me, has been a gateway to experiencing life and cultures from around the world. I particularly enjoy house concerts, open air markets and street singing because I can mingle and meet with extraordinary people." Learn more at: http://www.rahelmusic.com SOCIAL MEDIA: Facebook: https://www.facebook.com/acousticbreezes?ref=hl Funding may be available at: NH State Council on the Arts; N.E.F.A. (New England Foundation for the Arts) N.E.S.T. (New England States Touring Artist) N.E.F.A. / N.E.S.T.